This highly acclaimed wine has achieved an enviable reputation, 26 vintages from 1984 thru’ to 2016. Very limited quantity available, this wine is highly sought after by our export customers so don’t delay booking your Australian allocation while you can. To reserve your order now, you must provide your payment details to reserve your allocation. We will charge your Visa, Mastercard or Amex prior delivery. After bottling we will advise expected delivery, likely to be late April early May 2018. Allocations can not be processed without your permission to charge your Card. 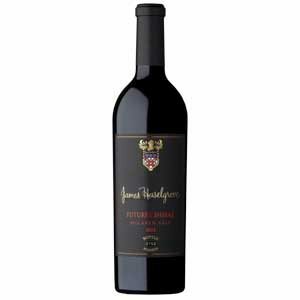 The Futures Shiraz was first made in 1984 as a rich, full bodied Shiraz wine style that is very suitable for cellaring yet maintains drinkability. This 2016 wine is the 26th, to be released after maturation in French & American oak, a small proportion of which are new. Fruit for this release comes from a single vineyard planted in 1910 in McLaren Flat. Rich, concentrated fruit was handpicked then open fermented before being put in to larger oak barrels to finish fermentation and then matured for 30 months. This wine has lovely medium to long term potential which will augment the savoury fruit characters expressed by this terroir in the McLaren Vale region. As we want this wine to mature gracefully in the bottle, we use DIAM cork for quality cellaring that will still allow the wine to slowly develop complexity and regional nuances.